Just when you thought you escaped my subpar endurocross tracks, I decided to bless you with rage as the MX season comes to the end. Completely custom endurocross track that has traditional styled sections and some unique sections thrown in there. If you want to use the track for any races or objects, just make sure you give credit where credit is due. This was a random solo project, so I apologize for any mistakes and the not-so-good preview picture. Feel free to share your comments or critiques! A Tony post? This isn't real life. 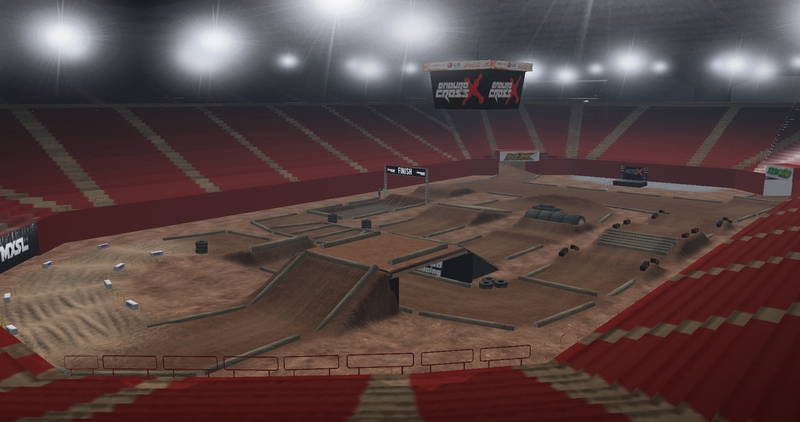 We should actually do an Endurocross series in the off season. I've wanted to, but I don't know how to set up qualifying and organizing heat races. Jeremy150 wrote: A Tony post? This isn't real life. Ddavis wrote: We should actually do an Endurocross series in the off season. I've wanted to, but I don't know how to set up qualifying and organizing heat races. I remember I did a mini-series a few years back and it had an okay turn out. It would definitely be a fun rage fest to change things up. Maybe one day I'll get back into the gist of things. I always see Euros using in such weird ways in comments. Does it mean something differently in Europe to roll your eyes? Ddavis wrote: I always see Euros using in such weird ways in comments. Does it mean something differently in Europe to roll your eyes? I don't know what that means for NA people but in my post, it means : something is getting ready in a few weeks.. In the US it means you're mad, or annoyed. or "blah blah blah that'll never happen"